People in what has long been considered one of San Jose’s safest neighborhoods say they’re now sleeping with one eye open. 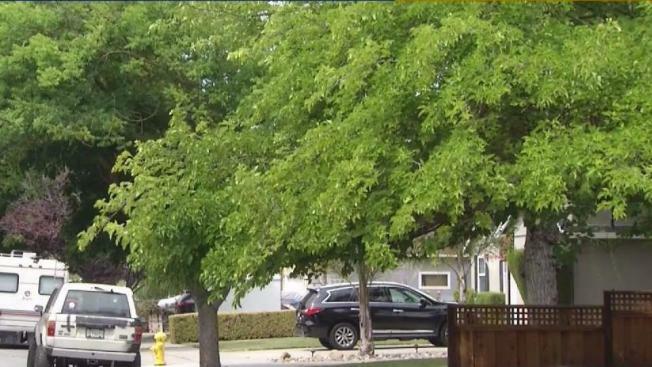 Burglars have been descending on an area along the outskirts of Willow Glen, and in at least one case in the early morning hours, a homeowner said would-be thieves knocked on the window of his young daughter. That family wasn't the only one victimized in the neighborhood. Others say it's been a couple of sleepless nights. "I went to sleep, and my truck wasn’t there," resident Greg Baker said. "It was locked. I woke up about 4:30." A jaguar also was stolen from the neighborhood around the same time. Grainy surveillance video from Baker's neighbor shows what is believed to be a car driven by the suspects. Neighbors say they're looking out for each other, and the area is plastered with warning signs. "We’re on Nextdoor, so everybody is conversing with each other, and a lot of people are home and just kind of watching out for each other," neighbor Kristin Calhoun said. "Best you can do." Baker added: "It's scary to think that this neighborhood is like this. I’ve lived here 22 years, and the last 4-5 years, its been crazy." Police responded almost immediately early Wednesday morning, and neighbors said they’ve noticed increased patrols. They said they’ll be ready in case the burglars return.